The best selling 'cult' skin resurfacing treatment uses a state of the art, low pH delivery system to effectively diminish wrinkles, pigmentation and sun damage. The Glycolic based formulation works like an 'overnight facial' to brighten and revitalise tired, ageing skin, and radically improve the appearance of the complexion. 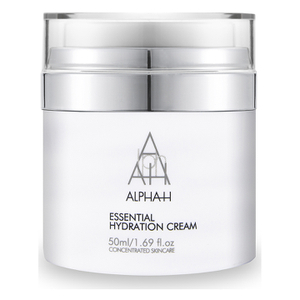 For mature, sun damaged, prematurely ageing and acne-scarred skin. The low pH of the product boosts regeneration of the lower firming fibres by forcing a 'wound healing' response that creates waves of stimulation while you sleep. You can add Liquid Gold to any existing skincare routine and it will 'supercharge' your existing skincare regime. Liquid Gold is great for sensitive skin that reacts easily to products as it exfoliates so gently it won't irritate the skin. It's also great for oily skin as it won't clog pores and won't cause breakouts. Liquid Gold smoothes the skin leaving it replenished and visibly clearer. Redness is calmed and skin tone is evened. Easy to see why it's called Liquid Gold - it's a miracle in a bottle. Applaud the tingle, it is an indication your product is working. HARPER'S BAZAAR BEAUTY HOT 100 WINNER 2013! Apply Liquid Gold onto cleansed skin each alternate evening. Moisten cotton pad with solution and apply to face, neck and decolletage. 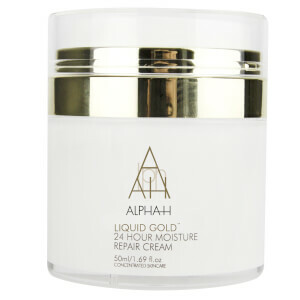 When the skin is touch-dry apply your preferred Alpha-H moisturiser or serum. For an intensive treatment do not follow with a moisturiser or serum. 5% Cosmetic Grade Glycolic Acid, Licorice Extract, Silk Proteins. Receive a free Alpha-H Lip Perfecter when you buy 2 products from the brand. Gift added automatically at checkout - while stocks last. Fantiastic product. I use it every other night and I just love it. Liquid Gold has been amazing for my skin in such a short time! Smooth and refined skin, helps even out my T-Zone oiliness! New to the Alpha-H range, but I won't be looking back at all! Great when used every 2nd night to clear up skin. Skin is clearer and has definitely tightened my pores. What an absolute godsend this product is. I use it every second night. I have dry and sensitive skin, it does sting/tingle a little for a few seconds but after that it's great. I leave it on overnight with nothing else and wake up with smooth skin in the morning. It really does change your skin! I had a lot of texture issues. Having these small subtle bumps. I found that using this product every other night changed the surface texture of my skin and my skin looked smoother and had a much better texture. It also dramatically limited any break outs, my skin was overall clearer. I can see why this is a cult product, its amazing! I put in on at night time, after cleansing and by morning my face looks brighter and cleaner, I love it!. I spray alpha h facial mist over top, my skin is a little too sensitive to have just liquid gold on my face. This is one product I will use as long as my skin responds to it. True resurfacing and intense moisturising qualities. Any pigmentation or scarring I had previously is now barely visible. Was slightly sceptical but using this alone 2-3 times a week at night has dramatically improved the texture of my skin.